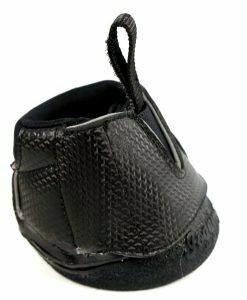 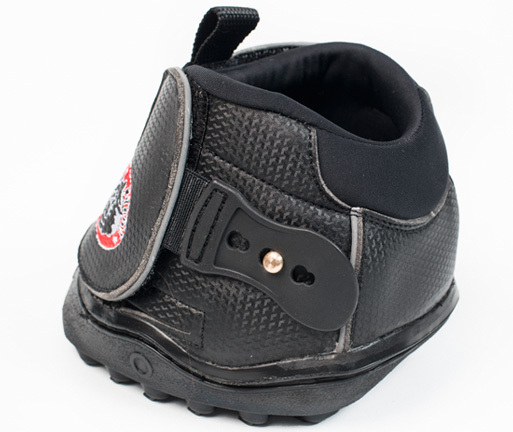 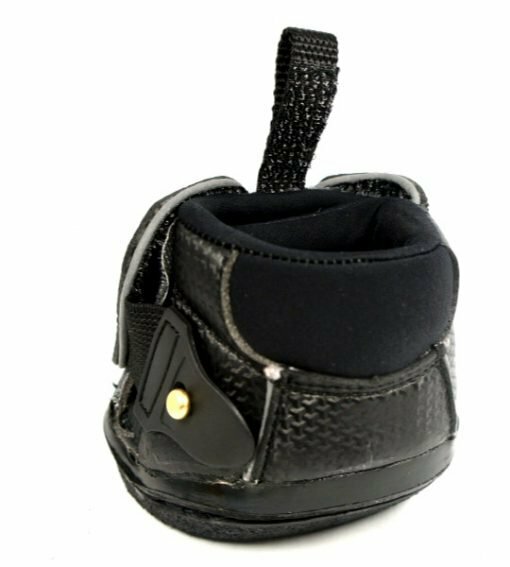 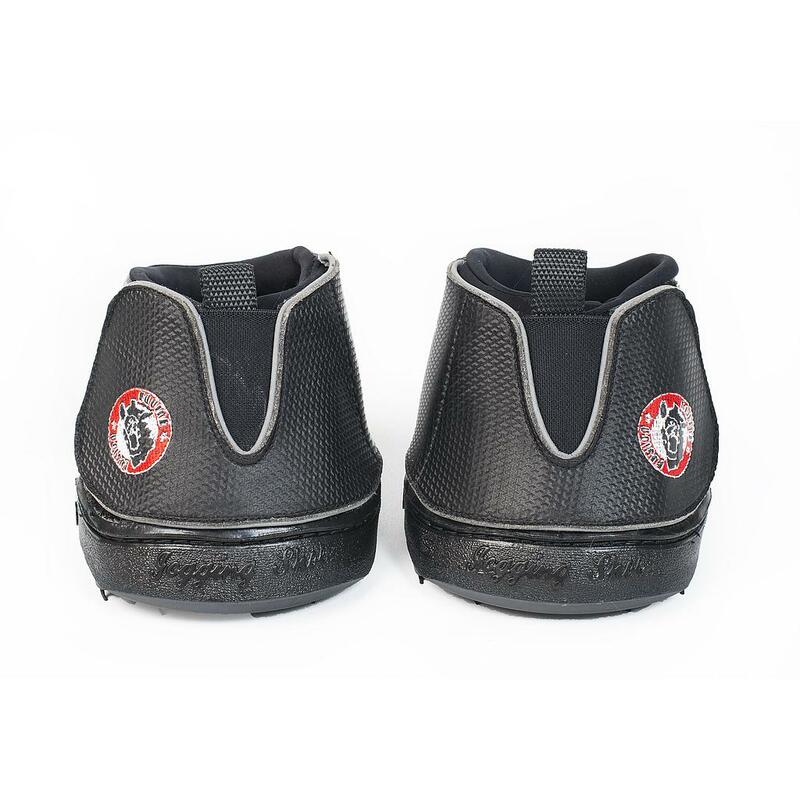 The Equine Fusion Active Jogging Shoes have a a carbon-look (non-leather) material with double lock velcro fastening upper which makes them very easy to put on and off. 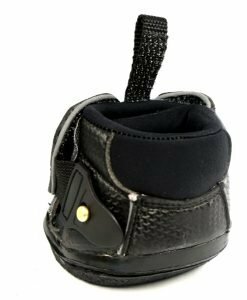 Equine Fusion boots are designed to work with the anatomy of the hoof and safeguard the natural balance, stability, cushioning, blood flow and rollover motion. The Equine Fusion Active Jogging Shoes have a a carbon-look (non-leather) material with double lock velcro fastening upper which makes them very easy to put on and off. 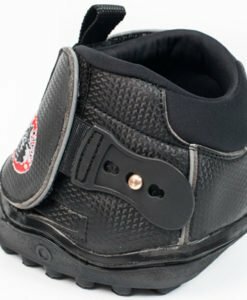 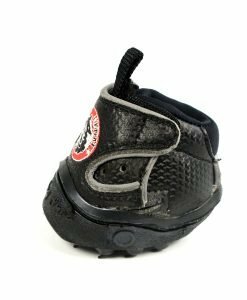 The difference between the Active jogging shoes and the All Terrain Boots is the extra fastener that ensures the boot stays put in all different types of terrains. 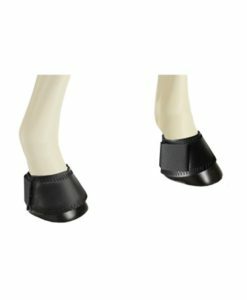 The Active Jogging Shoes have a thicker sole which means they provide extra cushioning for the hoof and are more wear resistant. The toe has increased break over built in and the new sole pattern ensures good grip on all surfaces. 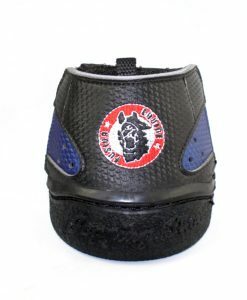 These boots are sold as a pair. 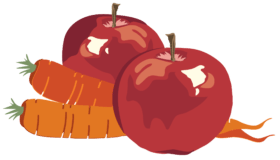 Size range – 7-16 – with Slim sizes too – Sizes 7-9 in stock, others by request. 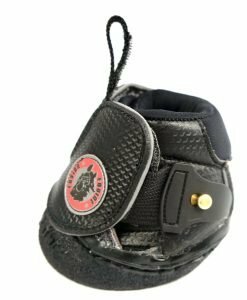 Equine Fusion was founded in order to develop a shoe that would work with the anatomy of the hoof and safeguard the natural balance, stability, cushioning, blood flow and rollover motion. 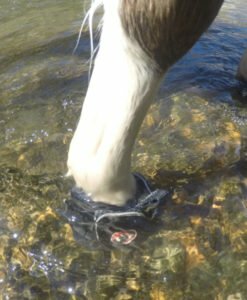 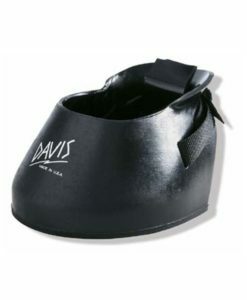 The hoof mechanism works inside the Jogging Shoe (contact between hoof and sole) unlike any other design, and the hoof works independently of the surface friction. 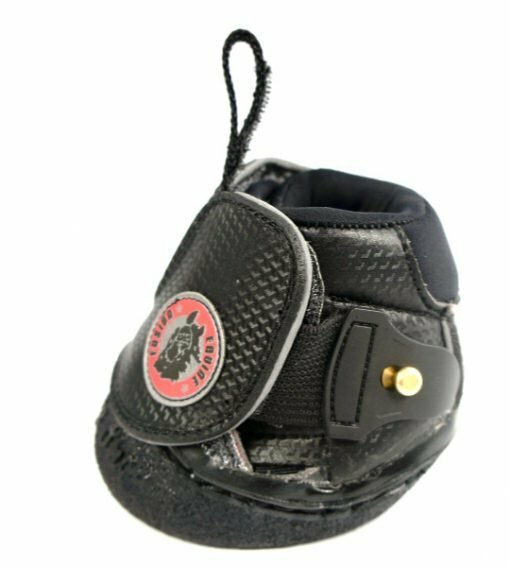 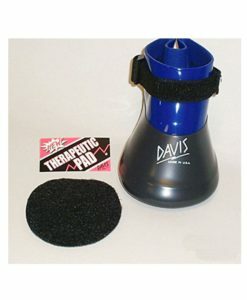 This promotes the natural function of the hoof and enhances the horse’s welfare, soundness and performance. 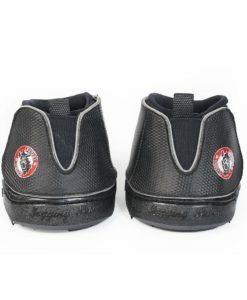 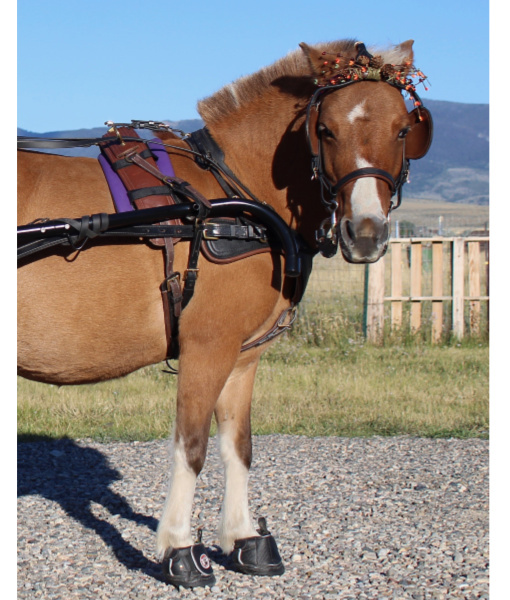 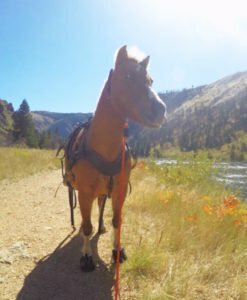 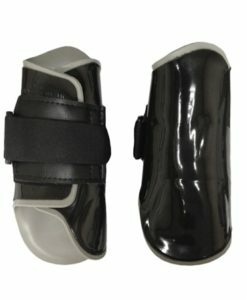 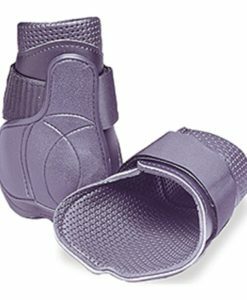 Go to this page for information about measuring your horse’s feet for these boots! 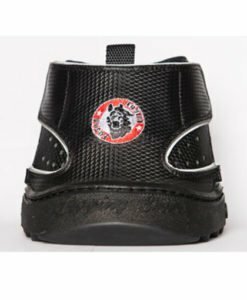 Here is a video showing these boots.